"Volunteers: the Heart of Hospice." 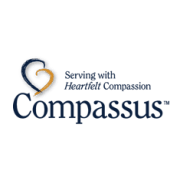 Seeking compassionate, conscientious individuals to provide support to patients and their families who are in the last months of their lives. Good listeners and good conversationalists in New Mexico--- Albuquerque, Santa Fe, Espanola, Las Vegas(NM), Gallup, Grants, Belen, Los Lunas, East Mountains (Edgewood, Tijeras, Estancia) urgently needed. Also Seeking special services such as hairdressers, massage therapists, acupuncturists, musicians, Spanish & Navajo speakers. Administrative, clerical, special events volunteers also welcome. Pet/animal lovers also needed for assistance in feeding and walking patient's pets. Also in demand Veterans to visits with our veteran patients. This is a position with many rewards for very special people!